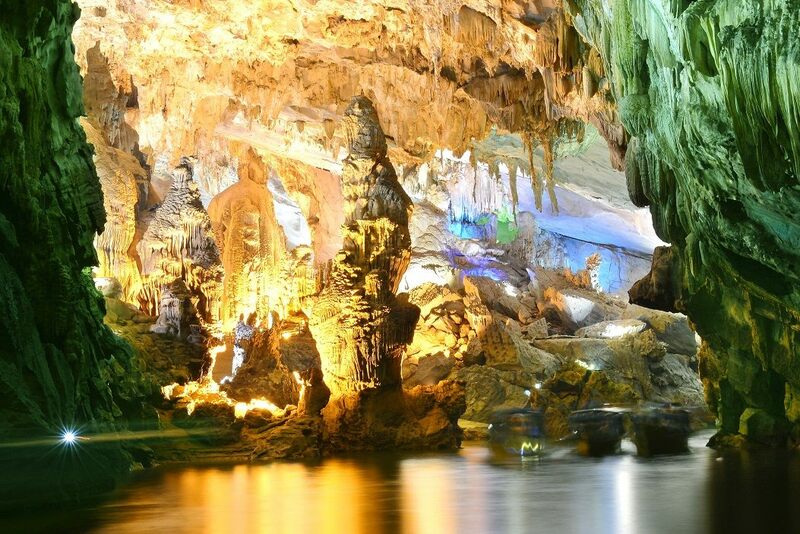 Phong Nha Ke Bang National Park in Quang Binh Province, which has been recognized as a world natural heritage site by UNESCO, is called the Kingdom of the caves and considered a paradise for researchers and explorers of grottoes and caves. 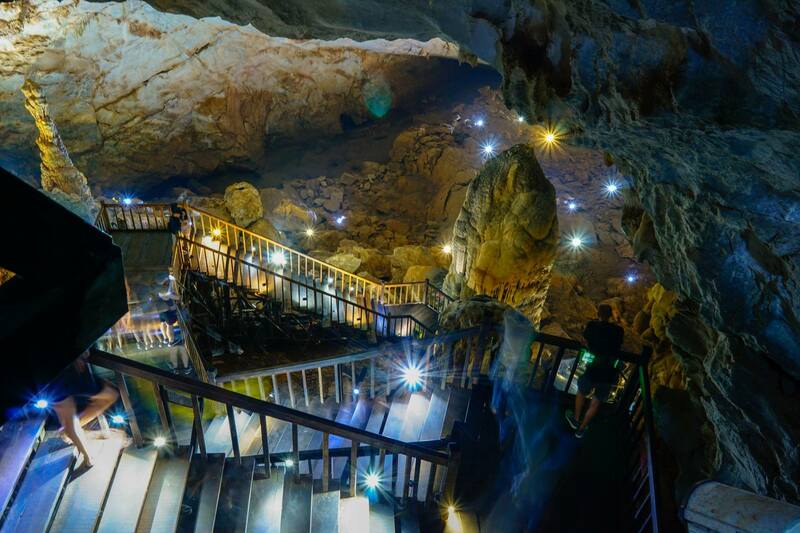 If you are in Dong Hoi (the capital city of Quảng Bình Province) and are planning a trip to visit this national park to admire these beautiful caves, Phong Nha Caves 2 days 1 night Tour is the best tour for you. 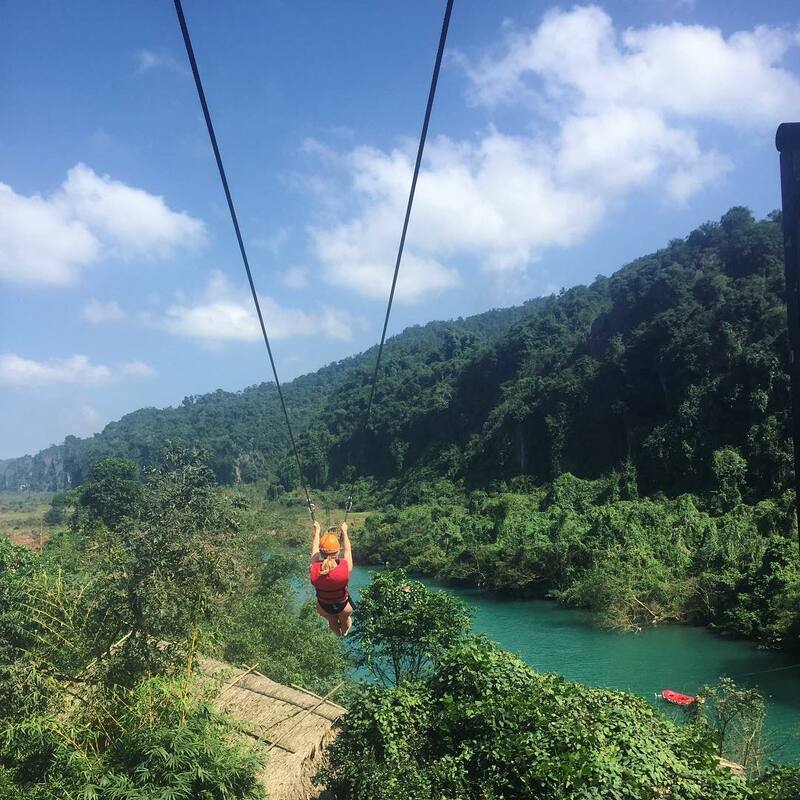 Phong Nha Caves Private Tour is the perfect option for visitors who would like to get to know more about the Phong Nha-Ke Bang National Park and its geology, biodiversity and history rich environment. Our tour guides will provide you with interesting information on the many different unique aspects of the National Park and the different sites that will be visited on this tour. 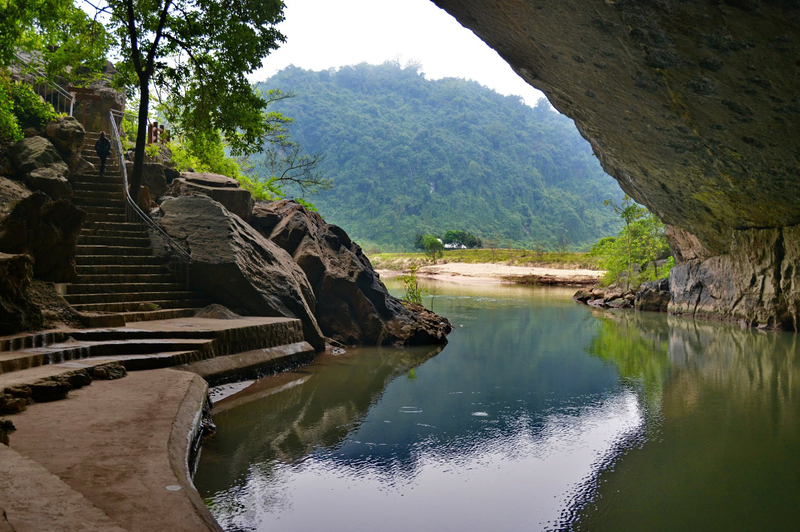 Visit the most famous caves in Phong Nha Ke Bang National Park with our tour and get interesting experiences now. Day 1: 8 Ladies Cave – Paradise cave – Mooc Springs Eco Trail. Van will drive on to the Ho Chi Minh-West Trail. There will be a short stop at the 8 Ladies Cave. This is a memorial temple for 8 brave woman that sought shelter inside one of the caves during the war. Our tour guides will explain the entire story to the participants! Continue the journey to visit the Mooc Spring Eco Trail. The Mooc Spring Eco-Trail is home to many exotic animals like Gibbons, colorful birds, snakes, many fresh water fish and butterflies. Enjoy the great moments of relaxation, mix the natural scenery of the romantic Mooc stream. Participate in services such as kayaking, swimming races, fishing . Evening Have dinner at restaurant. 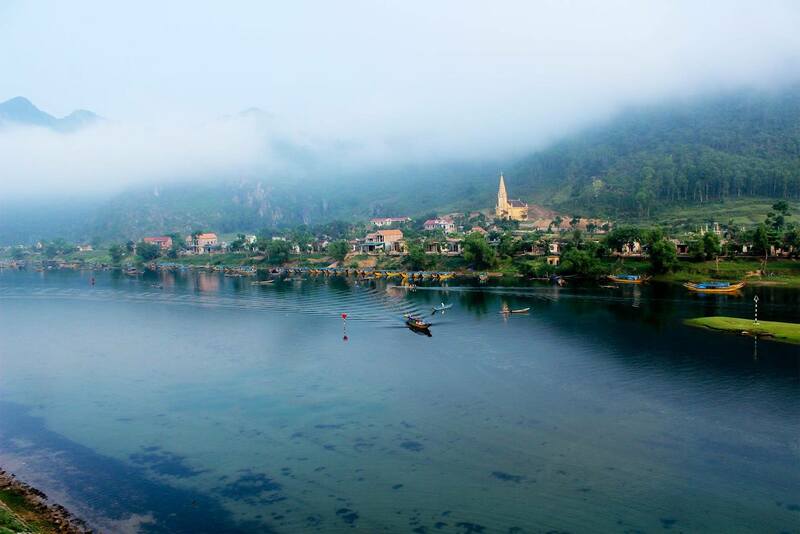 The only way to enter the cave is by a short 30 minute boat ride boat on the Son river. 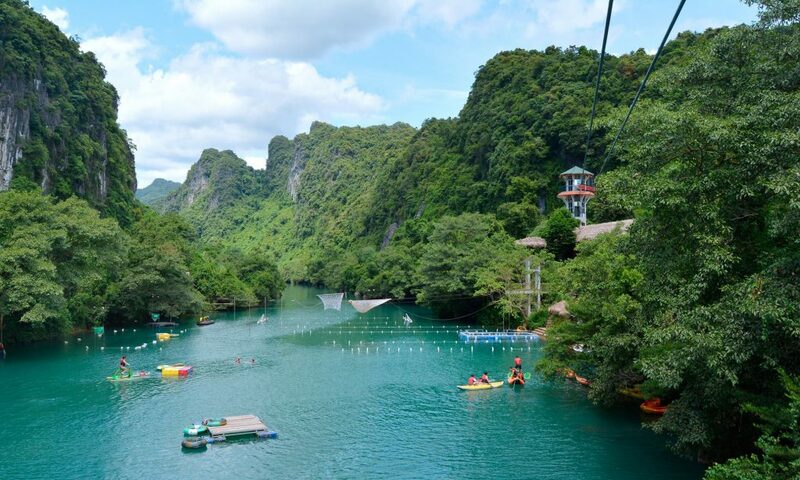 Every tour to Phong Nha Cave starts at the boat station at the Phong Nha Ke-Bang Tourism Center. The mouth of the cave is simply beautiful and unlike any other cave entrance in the world. 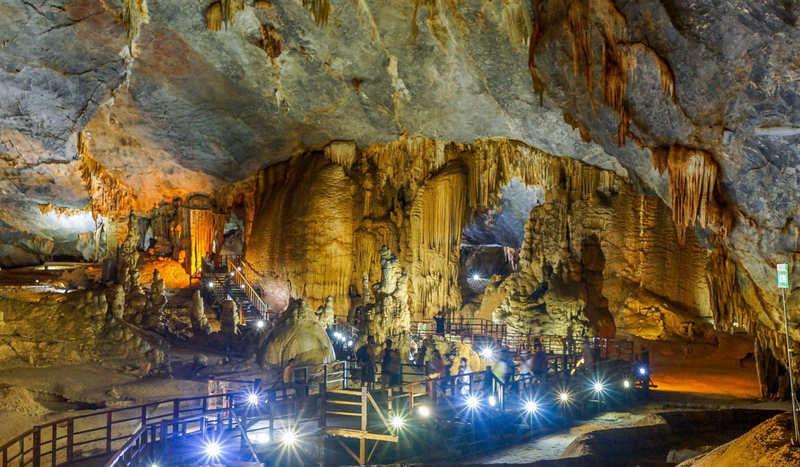 Conquering the Phong Nha Cave is the longest wet cave or river cave in the world , enjoy the scenery spectacular limestone, underground river system and unique stalactite in the world. 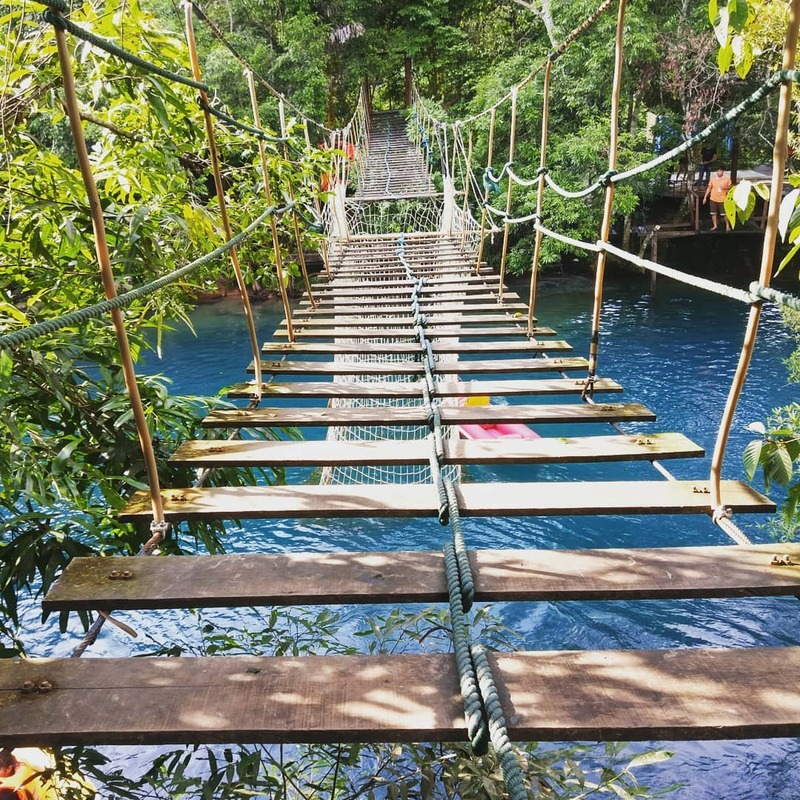 The entrance of the Dark Cave is at the opposite river bank from the Zip-Line tower. 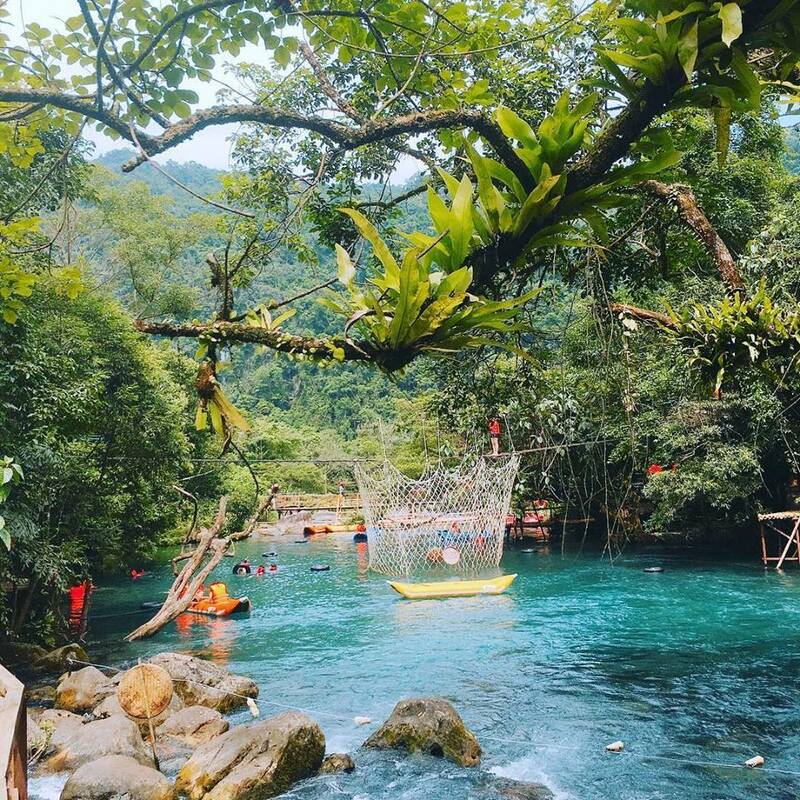 The beautiful deep blue color of the Chay river will catch your eye while riding the Zip-Line and a short 20 meter swim is required to actually enter the cave after the ride. The cave is home to many lakes, with a water temperature of about 18 degrees. Inside the cave there are many unique things to see and experience! There is a natural mud bath at the end of one of the narrow passages and there are many ancient fossils to be found. The fossils are over a million years old! Our guides will provide information about the history of the cave while exploring it. After successfully exploring the cave it’s time to take the kayak and paddle back to the boat station. Next to the boat station a smaller zip-line can be found, here participants will be able to actually release themselves in to the water. 03 meals (Lunch, Dinner): 150.000 vnd/ pax/ meal (≈ 7 usd).